Nelson Lowell Williams, 80, of Berlin Center passed away at his home on Tuesday, January 29, 2019. Nelson was born May 8, 1938 to the late Byron H. and Nellie (Wickersham) Williams in New Alexander, Ohio. Nelson was a graduate of Minerva High School and continued his education attending Fenn College and Youngstown State University studying Metallurgical Engineering. During high school he worked at Purity Dairy; worked for B &amp; W in Alliance; Alliance Mfg. ; GE Electric Company; Eljer Plumbingware as a Foundry Foreman where he met his wife; Electric Furnace and retiring from General Motors as a Die Maker in 2006 after 37 years of service. He had a sawmill and ran Williams Hardwoods. Nelson was a member of Emmanuel Lutheran Church in North Georgetown and attended Mt. Moriah Lutheran Church in Berlin Center, Ohio and prior to marriage he attended New Alexander Christian Church. He was a member of the UAW Local 1714 Retirees. 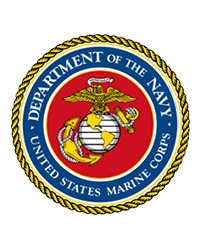 He was honorably discharged as a Reserve with the United States Marine Corp. When he was not working he enjoyed reading, river boat cruises, swimming, studying the Civil War, the performing arts but above all he enjoyed spending time with his family and friends. Nelson is survived by his wife Evajean (Yeager) Williams who he married April 2, 1966 at Mt. Moriah Lutheran Church; children Marla Kay (Donald) Weber of Oak Ridge, TN., Todd (Alison) Williams of East Rochester., OH., Karla May (Charles) Neal of Stone Creek, OH. ; grandchildren Alexandria (James) Brackbill, Jacob, Gabriel, Brianna, Kennedy, Evan, Shenodoah and Zander Weber; Morgan, Andrew and Adam Williams; Amanda (Sam) Plastow; Kurtis, Ethan, Michael and Hollyann Neal and Arian Woodburn. Nelson is also survived by several nieces and nephews and a special pet Morkie dog named Blare. Besides his parents Nelson was preceded in death by sisters Jean Stoll, Lois Travis and Karen Williams. The wife and children of Nelson L. Williams invite friends and family to a memorial service on Saturday, February 2, 2019 at Mt. Moriah Lutheran Church, Berlin Center, Ohio at 2:00 PM. A celebration of his life with friends and family will take place until 4:00 PM with refreshments; please bring memories to share. Memorial contributions can be made in Nelson's honor to Mt. Moriah Lutheran Church 4626 S. Pricetown Rd. Berlin Center, Ohio 44401 or to Emmanuel Luther Church 27485 Main St. North Georgetown, Ohio 44665.Friends and family may sign the online guest register and view the obituary at www.grfuneralhome.com. Arrangements have been entrusted to Gednetz-Ruzek-Brown Funeral Home, Sebring, 330-938-2526.